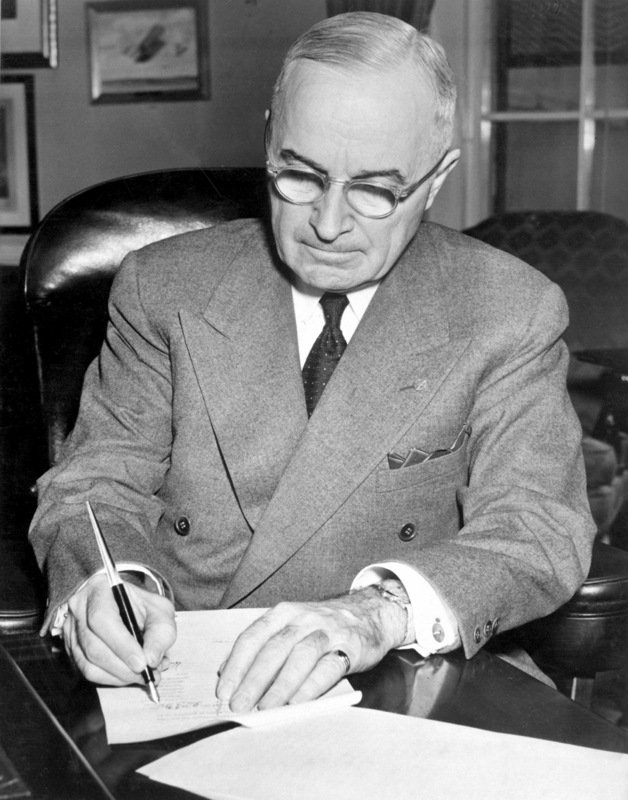 Immediately following the first and only uses of the atomic bomb in Hiroshima and Nagasaki, President Truman described nuclear stewardship as “an awful responsibility that has fallen to us.”i The decision to use the bombs did clearly demonstrate the operational effectiveness of a new and awesome weapon, as the atomic bomb was generally accepted to have been critical in bringing about the Japanese surrender. Moreover, new weapon technologies have consistently been used in subsequent warfare throughout human history.ii Policy-makers in the post-1945 period, therefore, would have had to work energetically against that precedent if they sought to meet Truman’s “responsibility” and establish a tradition of non-use of nuclear weapons. This paper will defend the proposition that this is exactly what key American policy-makers sought and accomplished. In the narrative that follows, the key dates to be examined are between 1945 and 1950—a transformative period in American foreign affairs when Paul Nitze and other key US policy-makers were setting the stage for the Cold War.iii The key to this study is not in episodically assessing why the United States repeatedly stepped back from the brink of the nuclear abyss, but rather in seeking to discern the development of a tradition of policy considerations concluding in the practice of nonuse. v This policy evolution is tracked through three key debates of the early Cold War: establishing the uniqueness of nuclear weapons, creating the hydrogen bomb, and the writing of NSC-68. Scholars have proposed two key explanations for the widely unexpected legacy of atomic weapons: the tradition of non-use and the nuclear taboo. The taboo explanation stems from a constructivist appreciation of the role of ideas and social action in state behavior, while the tradition of non-use comes from an assessment of the material and reputational factors considered by rational and strategically-oriented policy-makers. Both of these explanations need to be taken into account when assessing the non-use of nuclear weapons. Overall, I argue in this paper that US nuclear policy, with the early support of policy-makers like Paul Nitze, developed in a way that allowed for the emergence of a tradition of non-use of nuclear weapons. Evolving practices in the early years of the Cold War contributed substantially to a strategic commitment that helped prevent the use of nuclear weapons and prepare the ground for later struggles against proliferation. Far from the White House and the Kremlin, Paul Nitze and Yuli Kvitszinsky’s frank discussion on that afternoon demonstrated that the unlimited proliferation of nuclear arsenals was not predestined, and that individuals long associated with unflinching commitments to nuclear strength could now seriously envision a world without the existence of threatening nuclear arms. The biggest surprise was on the American side, as Paul Nitze, a fixture of the US defense establishment since World War II and the hawkish author of NSC-68, had come to believe in the idea of completely eliminating nuclear weapons. His apparent turnabout was so unexpected that it begs the question of whether the United States had ever really been serious about using the nuclear weapons in its vast stockpile. The non-use of nuclear weapons since their first use in Hiroshima and Nagasaki in 1945 is surprising in itself.2 Scholars have proposed two key explanations: the tradition of non-use and the nuclear taboo. The taboo explanation stems from a constructivist appreciation of the role of ideas and conceptions of identity in state behavior, while the tradition of non-use derives from an assessment over time of the material and reputational factors considered by rational and strategically-oriented policymakers. This paper poses two related questions about the initial development of US nuclear weapons policy in the years just after the end of the Second World War. First, did policy-makers show in their deliberations or actions doubts about the use of nuclear weapons which might help us to explain the emergence of a tradition of non-use of nuclear weapons? Second, given his enduring role as nuclear strategist, policy advisor, and finally radical skeptic, could Paul Nitze himself have helped establish such a tradition from the earliest days of the Cold War? I explore these questions in this paper and will argue that the answers are in both cases affirmative. The most important progenitors of this tradition, presidents and their key advisors, can hardly be labeled idealists. They were not scientists or policy advocates far removed from the lines of battle. At the beginning of the nuclear era, at any rate, they were hardened realists, tempered by war and capable of ruthlessness. To illustrate the complicated mind-set at the core of the evolving tradition of non-use, this paper takes a fresh look at one particular policy-maker involved from the very beginning. Paul Nitze was a difficult man, not easy to like. He was a calculating and deft advisor, but not the most profound strategist of his time. For many decades, however, he was trusted by hard-nosed decision-makers and feared by adversaries. The record suggests that he was also deeply aware of the moral and ethical implications of his famously hawkish military stance, and that he worked hard to prevent the use of nuclear weapons by either superpower during the Cold War. Not the only contributor to the development of the non-use tradition, he was nevertheless deeply involved at three key historical moments: when the earliest decisions were made to treat atomic weapons as unique, when the decision was made to build the hydrogen bomb, and when the National Security Council agreed on the operational underpinnings of a policy to contain the expansion of the Soviet Union. On October 28th, 1999, Paul H. Nitze wrote his last and most unexpected op-ed article for The New York Times. In it he stated clearly: “I see no compelling reason why we should not unilaterally get rid of our nuclear weapons.”6 Before his death in 2004, Nitze had reconciled his years of experience in nuclear policy-making with an argument for the complete denuclearization of the planet. How did he arrive at this conclusion, which, given his reputation as a foreign policy hawk, came as such a surprise? Nitze first served as Vice Chairman of the United States Strategic Bombing Survey, which assessed the effectiveness of Allied bombing campaigns during the war. After a stay in Europe, he spent two months in Japan, becoming intimately familiar with the devastating carnage of the atomic bomb. In late November, 1945, he wrote home in a letter to his mother that his team had come to know “what happened to each ship, plane, shell, ton of coal, rodent, fly, open latrine, and house of prostitution during the course of the war.”10 Nitze’s sentiments towards Japan appear to have been marked with ambiguity at the time. Going to Japan humanized the enemy for Nitze, and his later thinking would reflect this experience. Above all, Nitze’s conclusion rested on his assessment that the atomic bomb was not an “absolute weapon” and that Japan could have continued its war effort even after the bombings. In the end, the report was discredited within the US military, in what Nicholas Thompson characterizes as a series of friendly fire attacks by military branches staking budgetary claims in the fraught atmosphere of postwar reorganization.15 Nitze, however, never repudiated the conclusions to which the USSBS team had come. Just as the actual conception of nuclear weapons presented a new challenge to military routines, associated strategic thinking had to develop outside of conventional idealist-realist analytical frameworks. It was in just such an environment that Nitze first wrestled with the American burden of nuclear arms. His strategic views developed within a flexible and fluid framework of nuclear policy ideas that in part diverged from his generally hawkish stance. These do not seem like the policy recommendations of a recalcitrant hawk. In fact, the implication of these recommendations is even more dovish than historians have generally acknowledged, for they all point to one long-term hope: nonuse. Nitze’s oral histories also reflect these sentiments, referring to his abhorrence of nuclear weapons on numerous occasions.18 Accordingly, with others of a similar mindset he helped guide the United States through its formative nuclear years, allowing the practice of non-use of nuclear weapons to develop and eventually establish a recognizable tradition. Within a fortnight of taking office in April 1945, Harry Truman was briefed by Secretary of War Henry L. Stimson on the atomic bomb.19 During the briefing Stimson did not cut any corners in addressing the global significance of the new technology, and in the process he may well have traumatized President Truman. Stimson’s presentation emphasized six main points. First, the United States would soon possess the technology to destroy an entire city with a single bomb. Second, the US would not remain the sole possessor of the bomb in the future and that adversaries could use it to unleash devastating surprise attacks. Third, this new weapon might lead to the complete destruction of modern civilization. Fourth, international controls should be sought to limit the bomb’s use. Fifth, the United States now had a moral responsibility to protect the civilized world from nuclear obliteration. Sixth, if the bomb was properly handled the US might be able to not only save civilization, but ensure the peace and stability of the world.20 It seems that Truman made the subsequent decision actually to use the bombs on Japan in something of a haze of incomprehension, treating their use as rather a foregone conclusion. With the fierce Battle of Okinawa also fresh in the minds of American officials, the prospect of vast casualties resulting from an invasion of the Japanese mainland made use of the atomic bomb obviously appealing.21 “Having found the bomb we used it,” stated Truman flatly in a radio address on August 9th, 1945, after the bombing of Hiroshima.22 Nevertheless, Truman did not forget Stimson’s message in the weeks following the conclusion of the Pacific War, and he soon began to work in earnest to limit the acceptability of the atomic weapon. President Truman initiates U.S. involvement in Korea in December 1950. Truman, believing the bomb to be of unique importance, separated it from the traditional mechanisms of conventional weapons consideration. “The release of atomic energy,” Truman would say at the time, “constitutes a new force too revolutionary to consider in the framework of old ideas.”26 This decision to place atomic bomb use under civilian control was contested by military leaders and the Secretary of Defense, James Forrestal, who continually requested military custody up to and even after the decision to establish the AEC.27 By creating the civilian-led AEC, Truman effectively preempted military leadership in nuclear weapons policy-making, and established a bureaucratic check on military decision-making. With his work on USSBS and then on the Marshall Plan, Nitze did not play a central role in the creation of the Atomic Energy Commission. Nonetheless, he was a witness to the early debates between military and civilian leaders and followed closely the changing conception of nuclear weapons in American foreign policy. That conception legitimized the work of civilian leaders overseeing nuclear materials and also laid the groundwork for civilian input on decisions about the use of atomic force. As a result, for example, civilians in the executive and legislative branches would later find it within their mandates to oppose the creation of a neutron bomb and ban peaceful nuclear explosions in the United States.28 Had the field of atomic energy been developed early on within a framework of military decision-making, later civilian support of the practice of non-use may well have had less of an impact on policy. Since 1943, at the dawn of the nuclear revolution, scientists had considered the feasibility of developing a fusion bomb.29 According to historians Samuel Williamson and Steven Rearden, problems with uncertain theoretical probabilities, possible detrimental effects on the environment, and estimates of astronomical costs initially stood in the way of actually pursuing its development.30 But on August 29th, 1949, something entirely unexpected occurred in Semipalatinsk, Kazakhstan—the Soviet Union tested its own bomb. It wasn’t until six days later that an American B-29 flying north from Japan noticed that radiation levels in the air were too high to be normal.31 So in the autumn of 1949 Washington DC was all abuzz about how to respond. The decision was soon made to unleash the power of the fusion reaction. On the one hand, it seems as though Nitze wanted to avoid pushing the United States towards accepting the eventuality of nuclear use. On the other, he was advised by Secretary Acheson that “the NSC subcommittee probably should not direct its efforts toward the ultimate moral question at this time but should express as much fact and analysis as possible…”38 In the same memo, dated December 3rd, 1949, Acheson also expressed his misgivings about nuclear use. Under Secretary of State James Webb later credited Acheson with saying, “Somewhere, we should make a review of what we have said about not using atomic weapons and about controls. At the same time, review what has been said by the military with respect to its plans to use the weapon.”39 Indeed, both Acheson and Nitze seemed especially concerned with ensuring that any steps toward weaponizing the fusion reaction should not be mistaken as an act of war or as a statement of readiness by the United States to use the weapon in battle. Ultimately, Nitze and his sub-committee came down in favor of the hydrogen bomb project. They gave it the green light but also insisted that it be accompanied by the complete reexamination of US foreign and security policy in light of the new weapon.40 That task, as it turned out, would fall again onto Nitze’s lap and culminate in his drafting of NSC-68. Nitze appears to have viewed the super bomb the same way that President Truman eventually did—as constituting a nuclear game of chicken, potentially blocking the path of international cooperation.41 When the Z Committee met with President Truman on January 31st, 1950, after over three months of deliberation, the meeting was reported to have taken only seven minutes.42 Truman asked only one question of the committee: “Can the Russians do it?”43 In the end, the decision to forge ahead with nuclear experimentation was less aggressive than it was necessary. According to his biographer, David McCullough, Truman even took a moment to explain his thinking to David Lilienthal, who was the most distraught over the President’s decision. During the January 31st meeting, Truman leaned over to the AEC Chairman and said “he had always believed the United States should never use ‘these weapons,’ that peace was ‘our whole purpose.’”44 Nitze didn’t hear that remark, but the record of his thinking reflects similar sentiments. By extension of both Nitze and Truman’s logic, building a hydrogen bomb seemed, paradoxically, the best way of actually avoiding the use of nuclear weapons. Nitze, who was concerned with eliminating incentives for surprise attack, desired the United States to always have a slight nuclear advantage over the Soviet Union, thereby encouraging a tense stability between the two powers. The document was meant to provide a holistic review of US foreign policy in light of recent developments, including the possibility of the hydrogen bomb and the Soviet possession of the atomic bomb. Although it omitted actual dollar amounts, NSC-68 called for a dramatic increase in military spending, which totaled $13 billion in 1951. 47 In fact, between $35 and $50 billion would be spent annually over the next few years.48 The increased funding was meant to strengthen US military capabilities through and through, including both nuclear and conventional forces. In short, NSC-68 militarized the US Cold War policy of containment. But it did something for the United States that has been largely overlooked. By increasing military spending on conventional and nuclear forces, the policy shift advocated in NSC-68 pushed the US off the course of complete reliance on nuclear weapons. Moreover, by committing the United States to investing in the policy of containment, it shifted the discussion away from the singular option of a first-strike against the Soviet Union, effectively moving policy away from the idea of a preventive nuclear war and opening the door to the intentional practice of not actually using nuclear weapons. Such an idea seems to have been of incredible importance to other policy-makers, who sought to avoid the use of atomic weapons. The evidence suggests that Nitze would have taken issue with this statement as well, but not merely because of its implications for nuclear use. Nitze would simply have rejected the notion that preventive war was required in order to avert a first-strike on the United States. On the contrary, he took a stance against preventive war in NSC-68, and worked through other means, like deterrence through denial, at eliminating the original incentives for a nuclear surprise attack. NSC-68 should be seen as a response to the generals. Its aim was to diminish the threat of nuclear war and to stop nuclear weapons from being used. Much of the evidence presented in this paper comes from primary sources. Full references are provided in a thesis on file in the Government Department, Cornell University. Most government documents from the early days of the Cold War have now been declassified and are available for public viewing. There are many more documents available than I have been able to include in this study, but I do draw my narrative and conclusions from a reasonable sampling. of official histories available in the Library of Congress, including memoirs of members of the Joint Chiefs of Staff, Harry Truman, Henry Stimson, James Forrestal, David Lilienthal, and Dean Acheson, as well as the papers of Robert Oppenheimer and Senator McMahon. Through the auspices of curator Daun Van Ee, I was also able to examine some of the official war plans of the United States from the late 1940s. Moreover, I relied on the Foreign Relations of the United States databases for declassified State Department documents from the time. During my research trips, I focused above all on State Department records and the official papers of Paul Nitze, which are housed in the Library of Congress’ Manuscript Division. These papers consist of letters to officials and family members, personal copies of State Department memoranda, and meeting notes. Mostly declassified in 1989, the papers remain under the supervision of Paul Nitze’s family, which granted my formal request for access. John Lewis Gaddis, et al, Cold War Statesmen Confront the Bomb (New York: Oxford University Press, 1999), 21. This is the continuity school understanding of weapons technology. For example, the introduction of rocks, sticks, bows and arrows, or firearms into the realm of warfare all represented advances in technology that since their arrival have become acceptable as tools of war. See Catherine Girrier, The No-First-Use Issue in American Nuclear Weapons Policy 1945 – 1957 (Geneva: Institut Universitaire De Hautes Études Internationales, 1985), 4. This relatively short time-frame may appear to be an unfair test of the theory of a nuclear taboo, since social taboos take time to develop. Nonetheless, if evidence for the emergence of a tradition of non-use can be found in this period, then the tradition may be presented as a more plausible explanation for the non-use of nuclear weapons than a taboo, especially since nuclear weapons were considered for use throughout the early years of the Cold War. Although the actions of other nations like the Soviet Union could have also dramatically altered the history that we are studying, and are equally important in addressing the question of global nuclear peace, this is fundamentally a study of US policy decisions regarding the use of nuclear weapons, and only seeks to understand the establishment of an American tradition of non-use. Nicholas Thompson, The Hawk and the Dove: Paul Nitze, George Kennan, and the History of the Cold War (New York: Henry Holt, 2009), 287. Thomas Schelling, “An Astonishing Sixty Years: The Legacy of Hiroshima” Nobel Prize lecture, The Royal Swedish Academy of Sciences, Stockholm, Sweden, December 8, 2005. Steven Kull, Minds at War: Nuclear Reality and the Inner Conflicts of Defense Policymakers (New York, NY: Basic Books, 1988), 10; David Callahan, Dangerous Capabilities (New York, NY: Harper Collins, 1990), 7. Although the actions of other could have also dramatically altered the context of decision and are equally important in addressing the question of global nuclear peace, this study intentionally focuses only on the establishment of an American tradition of non-use. Paul Nitze, “A Threat Mostly to Ourselves,” The New York Times, October 28, 1999, Opinion section. Thompson, Hawk and Dove, 23. Nitze was sent by President Reagan to negotiate for the United States at the Reykjavik Summit in 1986. During a closed-door session with Soviet negotiators, he dramatically and unexpectedly supported a proposition to completely eliminate long-range ballistic missiles on both sides of the iron curtain. With fewer than five minutes left in the meeting to discuss the proposition, little came of it. Nitze Memoir Interviews with Steven Rearden and Ann Smith, 1982-1988, Paul Henry Nitze Papers, box 120, folder 6, Manuscript Division, Library of Congress. Letter from Paul Nitze to his mother, Late November, 1945, Paul Henry Nitze Papers, box 165, folder 5, Manuscript Division, Library of Congress. Document reprinted in the appendix. Nitze, Hiroshima to Glasnost, 38. Letter from Paul Nitze to his mother, October 18, 1945, Paul Henry Nitze Papers, box 165, folder 5, Manuscript Division, Library of Congress. Thompson, Hawk and Dove, 66. Paul Nitze, “Atoms, Strategy, and Policy” Foreign Affairs 34, no. 2 (1956): 187. Nitze Memoir Interviews with Steven Rearden and Ann Smith, 1982-1988, Paul Henry Nitze Papers, box 120, folder 12, Manuscript Division, Library of Congress. Gaddis, et al. Cold War Statesmen Confront the Bomb, 16. Sean Malloy, Atomic Tragedy: Henry Stimson and the Decision to Use the Bomb Against Japan (Ithaca, NY: Cornell University Press, 2008), 99. McCullough, Truman, 395. Paul, The Tradition of Non-Use, 49. Paul, The Tradition of Non-Use, 44. David McCullough, Truman (New York: Simon & Schuster, 1992), 649. 28 Tannenwald, The Nuclear Taboo, 267. Samuel R. Williamson and Steven L. Rearden, The Origins of US Nuclear Strategy, 1945 – 1953 (New York, NY: St. Martin’s Press, 1993), 115. Thompson, Hawk and Dove, 99. The actual delegates were Paul Nitze and R. Gordon Arneson (State Department), LeBaron (Defense), and Henry D. Smyth and Gordon Dean (AEC). Smyth and Dean were members of the AEC that represented Lilienthal when he was unable to attend meetings. LeBaron was the Secretary of Defense’s chief advisor on atomic energy and Gordon Arneson was the Secretary of State’s atomic energy advisor. See Nitze, Hiroshima to Glasnost, 90. But Paul Nitze says that the real debates occurred between LeBaron, Lilienthal, and Nitze. See Nitze Memoir Interviews with Steven Rearden and Ann Smith, 1982-1988, Paul Henry Nitze Papers, box 118, folder 12, Manuscript Division, Library of Congress. US Department of State, Foreign Relations of the United States: National Security Affairs; Foreign Economic Policy, 1949 (Washington, DC: GPO, 1976), 610. US Department of State, Foreign Relations of the United States: National Security Affairs; Foreign Economic Policy, 1949 (Washington, DC: GPO, 1976), 599. 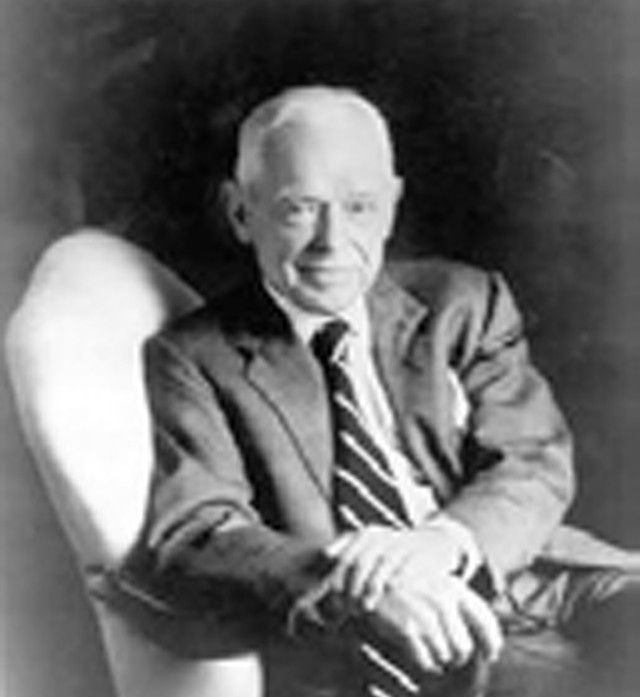 McGeorge Bundy, who was not in government at the time of the hydrogen bomb decision, wrote an article for the New York Review of Books on May 13, 1982 called “The Missed Chance to Stop the H-bomb.” The article studied the decision-making process and mentions that Paul Nitze actually proposed that a de facto policy of no-first-use be considered by the administration. Referring to the policy recommendations, Bundy wrote: “…even Paul Nitze, in early 1950, thought that State Department should probably press the case for [this policy]. But this policy, which we would not call ‘no-first-use,’ was never proposed by anyone to Truman, and it vanished later that winter as the military pressed its insistent conviction that usable nuclear superiority was both indisputable and attainable.” I have been unable to find any other evidence that corroborates this claim, but Bundy’s observation in itself is telling of Paul Nitze’s more complex policy ruminations and his less than hawkish character. See Nitze’s copy of McGeorge Bundy article in New York Review of Books, May 13, 1982, Paul Henry Nitze Papers, box 19, folder 13, Manuscript Division, Library of Congress. Document reprinted in the appendix. Andrew Bacevich, The Limits of Power: The End of American Exceptionalism (New York, NY: Henry Holt and Co, 2008), 110. Nitze, Hiroshima to Glasnost, 96. US Department of State, “NSC-68” Foreign Relations of the United States: National Security Affairs; Foreign Economic Policy, 1950 (Washington, DC: GPO, 1976). Gentile, “Planning for Preventive War,” Joint Force Quarterly, 69. 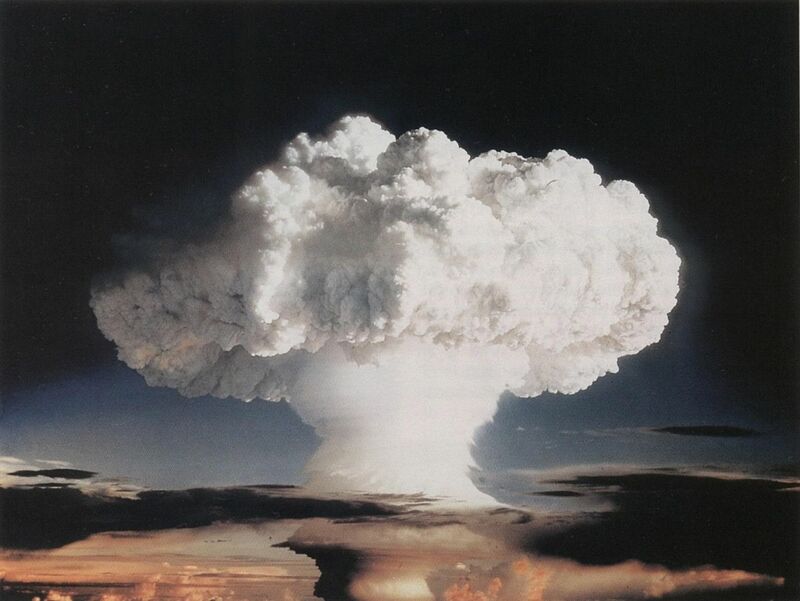 Scott Sagan and Kenneth Waltz, The Spread of Nuclear Weapons: A Debate (New York, NY: W. W. Norton, 1995), 57. Nitze, Hiroshima to Glasnost, 93. US Department of State, Foreign Relations of the United States: National Security Affairs; Foreign Economic Policy, 1949 (Washington, DC: GPO, 1976), 402. Nitze Memoir Interviews with Steven Rearden and Ann Smith, 1982-1988, Paul Henry Nitze Papers, box 118, folder 9, Manuscript Division, Library of Congress. Nitze, Hiroshima to Glasnost, 106. Nina Tannenwald believes that various State Department memoranda pointed to the “special horrifying status” of nuclear weapons in order to recommend non-use of the atomic bomb in Korea. “[The] analysis was clearly recommending that, for normative reasons, the bomb should not be treated as an ordinary weapon and that any decision to use it must meet a more demanding test.” Tannenwald, The Nuclear Taboo, 120 – 121. US Department of State, Foreign Relations of the United States: Korea, 1950 (Washington, DC: GPO, 1976), 1042. The People’s Republic of China did not test an atomic bomb until 1964. Nitze’s copy of the declassified Gaither Report of 1957, 1976, Paul Henry Nitze Papers, box 102, folder 6, Manuscript Division, Library of Congress. Gaddis and Nitze, NSC-68 and the Soviet Threat Reconsidered, 175. President Obama announced on April 5, 2010 that the United States would be changing its declaratory policy regarding the use of nuclear weapons. He has promised that in the future the United States would not use nuclear weapons against non-nuclear powers, with the exception of states threatening to use other kinds of weapons of mass destruction or states not complying with international treaties on non-proliferation. See David Sanger and Peter Baker, “Obama Limits When US Would Use Nuclear Arms,” The New York Times, April 6, 2010, front section. Recent National Intelligence Estimates (NIE) suggest that the intelligence community sees Iran’s leadership as deterrable, but as always there is room for debate. Anthony Cordesman, “Iran and the US: Key Issues from an American Perspective” Center for Strategic and International Studies, January 3, 2008. Prof. Thomas Schelling (UMD), in discussion with author, January 18, 2010. Thompson, Hawk and Dove, 106. Williamson and Rearden, Origins of US Nuclear Strategy, 117. Thompson, Hawk and Dove, 113. Theories of Nuclear Proliferation: Why Do States Seek Nuclear Weapons? International Law and Nuclear Weapons: Does the Continued Development of Advanced Nuclear Weapons Violate International Law?